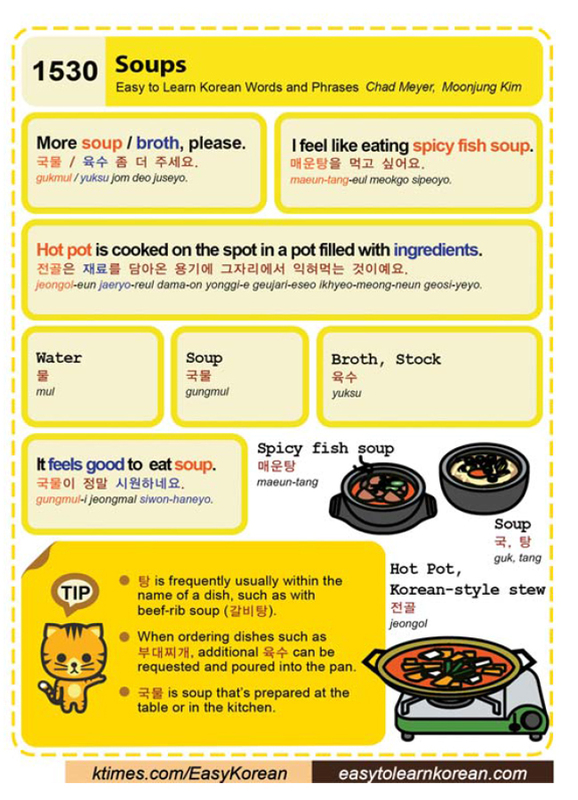 Easy to Learn Korean 1530 – Soups. Easy to Learn Korean 1163 – Describing Korean food. Posted in Series	| Tagged and sesame oil are common seasonings., chopsticks, dairy, describing Korean food, garlic, How would you describe Korean food?, Korean food is low in fat and healthy., Many foreign dishes are more rich than Korean food., meal, nutritious, rice, rich flavor, salty, side dishes, soup, soy sauce, spicy, 간장, 마늘, 반찬, 어떻게 한국 음식을 설명합니까?, 영양가 있는, 외국음식은 한국 음식보다 진한 맛을 가지고 있어요., 진한 맛, 짠, 참기름이 일반적인 양념이에요., 한국 음식은 지방이 적고 건강에 좋아요. Easy to Learn Korean 1094 – Expressions: Don’t count on something to happen. Posted in Series	| Tagged be patient, bread, don't count on something to happen, Don't count your chickens before they hatch., Don't drink the Kimchi soup before rice cakes are offered., Don’t drink the kimchi soup first., expression, gimchitguk, I worked hard and am looking forward to a bonus., kimchi, Kimchi soup, not count on things to happen, plan something, rice cake, soup, 김치, 김칫국, 김칫국부터 마시지 마세요., 김칫국부터 마시지 말아요., 김칫국부터 마신다, 떡 줄 사람은 생각도 않는데, 병아리가 부화하기도 전에 숫자부터 센다., 저는 직장에서 열심히 일했기 때문에 보너스를 기대해요. 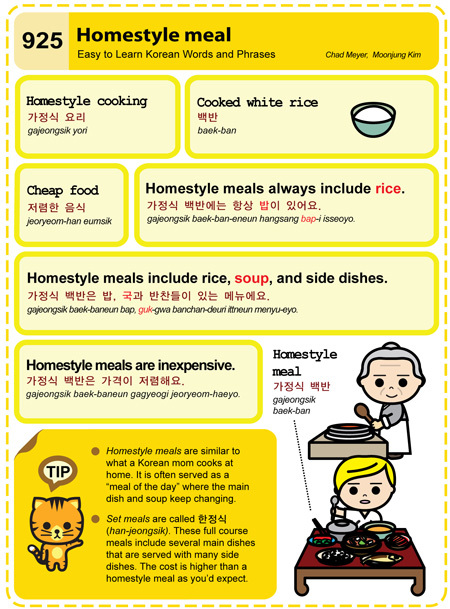 Easy to Learn Korean 925 – Homestyle meal.